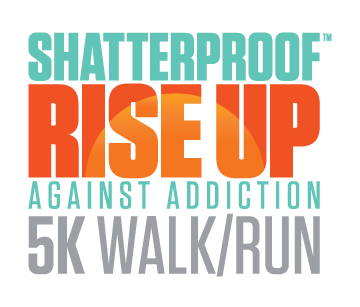 Volunteering for the Shatterproof Rise Up Against Addiction 5K Walk/Run is an excellent way to help families affected by addiction and help Shatterproof educate, empower and raise awareness about substance use disorder. Plus, it’s a great way to connect with others in your community, build relationships and learn new skills. Our Shatterproof 5K Walk/Run event volunteers receive an event shirt, verified community service hours and our sincere thanks. Shifts begin approximately 2 hours prior to the beginning of the event and last 4-5 hours. Are you participating with a group? What area of the event would you like to volunteer? In consideration of being permitted to participate in the Shatterproof Rise Up Against Addiction 5K Walk/Run, I, for myself, my executor, administrators, heirs, devises, and assigns assume any and all risks that might be associated with the event. I do hereby waive, release discharge, and covenant not to sue Event 360, Inc and Shatterproof, its management, officers, board members, employees, members, sponsors, volunteers, their successors, and all cooperating businesses and organizations, the event site, organizers, or their representatives, for any claims of injury, damages, demands, actions and causes whatsoever in any matter arising out of my participation or that of the minor under my supervision in the event and any related activities.I attest that I am medically able to participate and assume all risk of participation in this event.I understand that I may be photographed, filmed, or videotaped at the event. I hereby irrevocably grant to Shatterproof, its affiliates, licensees, and collaborators the absolute right and permission to use, reuse, reproduce, publish, or republish any photographs, motion pictures, recordings, any other record of my participation in this event as well as my likeness and/or voice for any purpose whatsoever, including commercial advertising. I hereby release, discharge, and agree to save harmless Shatterproof and its employees or agents, affiliates, legal representatives or assigns, and all persons acting under its permission or upon its authority or for whom it is acting, from any liability by virtue of any publication of my likeness, including, without limitation, claims for libel or invasion of privacy.Participant agrees to indemnify Shatterproof for all fines, fees, and expenses incurred as a result of the breach of any contractual obligations of the Participant. Do you agree to the waiver?